Jett Pro is looking for people with a strong desire for quality, integrity, team spirit and customer orientation to join our team. Our available job opportunities are listed below. Click on the “Apply Now” button to fill out the Job Opportunity form. Include the Job Title to make sure your resume goes the correct department. Someone will get back to you as soon as possible. 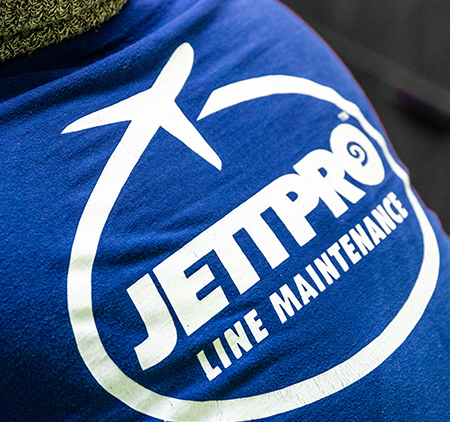 Jett Pro Line Maintenance is seeking a full time A&P Aircraft Mechanic for Milwaukie, WI repair station located at Milwaukee International Airport (MKE) with sign-in bonus. Ideal candidate must have the minimum qualifications listed here. Jett Pro Line Maintenance offers competitive wages, health benefits, dental, vision, 401K, short term disability, life insurance, EAP (employee assistance program) , and flex spending account. Jett Pro Line Maintenance' main objective is to deliver outstanding line maintenance service across the Continental U.S. by offering a host of capabilities from basic on-call aircraft maintenance and scheduled overnight services, to brake rides and ground support equipment (GSE) service. Jett Pro is one of the largest and fastest-growing organizations in the U.S. With Safety as a priority and a passion for perfection. Jett Pro Line Maintenance is seeking a Part time A&P Aircraft Mechanic for Portland, OR repair station located at Portland International Airport (PDX) with sign-in bonus. Ideal candidate must have the minimum qualifications listed here. Jett Pro Line Maintenance is seeking a Part time A&P Aircraft Mechanic for Pittsburgh, PA repair station located at Pittsburgh International Airport (PIT) with sign-in bonus. Ideal candidate must have the minimum qualifications listed here. Jett Pro Line Maintenance is seeking a full time A&P Aircraft Mechanic for our San Jose, CA repair station located at San Jose International Airport (SJC) with sign-in bonus. Ideal candidate must have the minimum qualifications listed here. 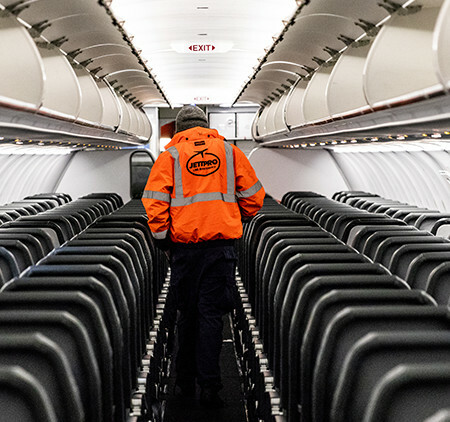 Jett Pro GSE is seeking a full time Ground support equipment Mechanic for our San Jose, CA located at San Jose International Airport (SJC) with sign-in bonus. Ideal candidate must have the following minimum qualifications. The Ground Support Equipment (GSE) Mechanic is responsible for properly diagnosing and performing repairs to customer’s and company own equipment (gas and diesel-powered engines, hydraulic, electric and air brake systems). 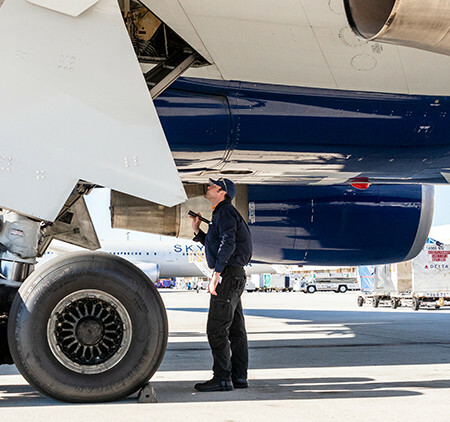 The Ground Support Equipment (GSE) Mechanic plays a critical role in the continued success of the company’s’ and employees’ safety. This position requires a professional approach to maintenance and strong troubleshooting skills. Evaluates GSE discrepancies to identify methods of repair and/or replacement. Identifies necessary parts, materials and tooling requirements, and provides timely estimates for all maintenance within scope of responsibility. Manage inventory control, Scheduling of preventive maintenance. Confer with the GSE station Supervisor for complex repairs, which require approval. Completion of paperwork as required. High school diploma required and technical training helpful. One year minimum of experience in aviation related GSE and vehicles maintenance and GSE operation. Able to read and interpret blue print and schematics. PHYSICAL DEMANDS: While performing the duties of a GSE Mechanic the employee is regularly required to stand; walk; use hands and fingers to handle or feel; reach with hands and arms; stoop, kneel, crouch, or crawl; and talk or hear. Ladder work required. The employee must regularly lift and/or move up to 50-70 pounds. Ability to work in outside weather conditions on an airport ramp around aircraft and the confined areas of the airport. Specific vision abilities required by this job. WORK ENVIRONMENT: The work environment is similar to airport operation with vehicular traffic. The employee is regularly exposed to moving mechanical parts, high, precarious places, outside inclement weather conditions. Employees will work on an airport ramp around aircraft and around heavy equipment. Jett Pro Line Maintenance is seeking a full time A&P Aircraft Mechanic for St. Louis, MO repair station located at St. Louis International Airport (STL) with sign-in bonus. Ideal candidate must have the minimum qualifications listed here. Are You Interested in Joining the Jett Pro Team? Please complete this form to apply for a job, and the opportunity to experience the Jett Pro team's Passion for Perfection. Resume must be uploaded as a PDF or Word Doc.